When the kids complain, “dad, there’s nothing to eat in the house!” there usually is something. It might be cornbread mix or frozen green beans or leftover meatloaf, but there’s something. At one time, though, they were right. Character-building career changes usually aren’t your choice. Last summer, I ran from the comfort of a writing job to one that dangled more money – and a jump from lower middle class to … probably middle middle class. How hard could it be to go from copywriter to vessel payroll administrator? I lasted almost two months. Officially, on July 6, the company decided to “separate me from my employment,” which sounds like some made-up thing Roger Clemens would say to the Supreme Court. They asked if I wanted to come back over the weekend to pack my things, but I chose the more dramatic effect of tossing my stuff in a box while my former team watched. 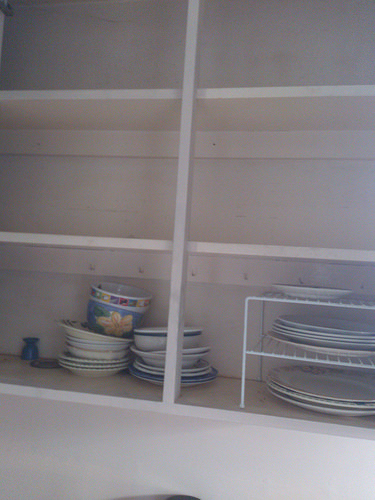 In four months between that employment separation and my start at Red Ventures, the cupboard got a bit bare. Back in the day, food stamps were paper – poor-people currency you had to produce when you bought groceries. Pride pushed my dad outdoors while my mom counted them out at the grocery-store checkout. Food stamps – and later any type of odd job, at any time of day or night – helped my dad keep my sister and I fed after a beef-packing company laid him off. Today, you get your funny money on a card, called EBT – electronic benefit transfer. There’s less stigma, but the distinctive American flag design on the card gives it away. You also must declare to the cashier “this will be on EBT,” and wonder if she’s judging your choice of pop tarts and Goldfish crackers as you spend her tax dollars. I wished I didn’t need EBT. I don’t believe government should have to do this for me. I’d like to believe that with more of our own tax dollars left in our pockets, we’d pick up the slack for each other, with programs such as Loaves and Fishes. That’s a food bank that allows families to shop for free depending on their degree of need, powered by donors and volunteers. A one-income home with three kids qualifies for a lot. With a clergy referral called in and a laminated number in hand, I sat on the dusty couch in a hallway of a church on a Saturday morning, waiting my turn with others to load up my cupboards by emptying theirs. A man with two kids in school uniform sat next to me. Beyond them, a mom with two boys the little hallway couldn’t handle. A woman bragged about the lamps she’d found in a dumpster – just had to replace the power cords! She lauded – while others nodded in agreement. The man I saw dragging a rolling suitcase as I drove here walked through the door. His empty suitcase would soon hold all the food he could get today. That’s a lot of food, I thought. I’d brought a single Florida Gators shopping bag. Surely that’d be big enough. I was so wrong. The formula and checklist revealed much to me. My family needs a lot of food. My income, during employment, didn’t provide what I needed for them. With cheese, eggs, meat (I chose a whole chicken – I’d never bought a whole chicken, unless it was rotisserie cooked), tortillas (love that option), and boxes loaded with canned goods, boxes of cereal, bottles of juice, and a bag of pinto beans (I was determined to make beans from scratch, like my mom and grandma do), I had a cart full, not a bagful. A cart of groceries. Good stuff, staples. The sight of it overwhelmed me. A simple thank you didn’t seem enough, and when I tried to say it, the tears came with it. “I don’t know what to say,” I told the volunteer. “It’s OK,” she smiled and rubbed my arm. “You’ve been the helper already. Today, others are helping you.” The girls came out to help unload the groceries that day. They were as amazed as I was. They didn’t even complain that the haul included enough corn and green beans to ruin their dinners for weeks. My older two girls and I never talked about how getting help like this made them feel. When I was a kid, being caught shopping at K-mart would result in a social-standing death sentence. So.stupid. Maybe not so, with these kids. I went twice more to Loaves and Fishes that summer. Grace insisted on coming the last time. To make sure I got fewer cans of beets, and to see if Lucky Charms was an option, I suspected. Instead, I watched her counting cans, packing the cart, asking if she could pick things out. Great Post, Eli, you gave me a gift today… A gift of reflection. We should definitely never forget those days, even if we can fill the pantry on our own. I’ll never take a can of food for granted again. I think the special rubs off from these girls. Thanks for the gift too – this comment! This is one of the best stories I have read in a long time. I have been in a similar situation, albeit I was a single guy living alone. A Baptist Church in Tyler, Texas had a small food bank and the helped me out. I was both very grateful and extremely humbled. I promised the lady at the Church that I’d be back some day and repay the kindness that they had shown me. I did a year or so later. It was one of the most emotional things I had ever been through, being able to give back to those who gave to me. I’ll never forget the kindness shown to me that day. Thanks for bringing back a wonderful memory, Eli. Thanks for sharing your story, too. I’d had this one in mind for quite a while, and now seemed the best time to let it rip. This pull to return kindness is powerful. The whole idea of paying it forward has such momentum, but unless we take a day to pay it back, too, we can’t expect that momentum to go on forever. Thanks again, brother. Great to have you here. Eli, thank you for sharing this story with us. Food stamps, food banks, and other programs exist to help people in need. What most people fail to understand/acknowledge is many of those people look a lot like the reflection in the mirror. We just don’t want to believe it. We want to believe the only people who stand in line at the soup kitchen are the homeless or people abusing the system. We’re scared to admit we’re all closer than we think, whether it’s an unexpected medical issue that drains our savings or workforce management. If we all just stopped judging and started taking our turn to help, the world would be a better place. And it doesn’t matter which side of the political aisle you’re on. I’m a fiscally conservative, socially moderate gal who wants nothing more than to see this country set aside petty political differences and start finding solutions that keep our chidren safe, warm, and full! Thanks for indulging my soapbox moment today! It’s easy to make those who abuse the system poster children, but it really isn’t fair. My EBT benefits last summer, I thought, were excessive. It should have allowed me to buy staples, not extravagant purchases, as it did. I wish the government allowed us to do more with our own money to help people, rather than take it out of our paychecks to do with what they choose. Taking our turn to help – I like that concept. I’m with you, sort of in the middle, fiscally conservative/socially moderate, and I believe in the human spirit. Kindness and charity need not be government-regulated. Thanks so much for taking the soap box today, Nicole! I love that you shared this story – and the idea of being the helper yet also sometimes needing help is so true!!! When my parents divorced, my mom had 4 kids to raise with very little income. We qualified for food stamps but the whole ordeal was so awful that after 1 or 2 tries she decided to quit accepting them – I know very well what it is like to “make-do”. As an adult, we have been very fortunate and I always try to remember how hard and embarrassing it was to be different from my friends – we try to be the helpers as often as we can now. And, your site looks different – nice!! Glad you like the new look – I try to switch it up with the new season. I was motivated to get a new job and use my debit card rather than the EBT. It’s good to remember this isn’t new bikes or salon services people need – it’s the basics, just food, that’s all. Been there. Done that. Still sometimes actually. Light at the end of the tunnel is my husband graduates in May with a new career and hopefully helping more instead of needing the help. We all need the help now and then. It feels best when we help each other, doesn’t it? I can now go to Loaves and Fishes and bring cans in rather than take them out. Having been helped makes you want to help, doesn’t it? A great post Eli, sometimes you have to put pride away. Fortunately as an adult I’ve never had to go through that scenario. As a twelve year old we moved up here to Queensland, no work, no money and ten steps ahead of the repo man after our Ford Customline. We managed to rent a house in the outer suburbs of Brisbane, (Way out) with what little money we had left. My old man refused any offers of help, instead Mum walked ten miles into Brisbane and ten miles back every evening taking on ‘cleaning jobs.’ I found out later exactly what she was doing in the city at night and it helped with food and rent. The point of this is, I had a period where I couldn’t get enough to eat. 14 weetbix for breakfast didn’t cut it. A sandwich and an apple for school didn’t do much, so I took thrown away wrapped lunches out of the rubbish bin and scoffed them down. My grumbling stomach took precedence over what little pride I had. Thanks mate. That’s an incredible story for you, too. Amazing what we’ll do to make it work. It’s about survival, in your case. Painful as it might have been, that upbringing made you into the man we love to read today. Why thank you Eli, at least it gave me a grab bag full of anecdotes. Intervening years always help dull the pain. I look forward to reading your next blog. Tears. Your girls are so sweet. I’ve always found it easier to be the helper. Not so much on needing the help. But both are important. Thanks Tricia. I was definitely proud of Grace. It’s better to be the helper, and preferred – but after being on the other end, I’ll never see it the same way again. This is such a wonderful post Eli. Right now, these are hard times. I’ve watched two “middle class” friends lose their homes…people that never would have dreamed they’d be in that position. I have a friend who has started completely over as a single mom…no job, 3 kids, house gone. Without telling her story, what she has been through is not something anyone should have to go through. My heart aches for her. I give you a lot of credit too. 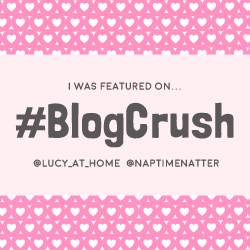 This is one of the most amazing posts I have read in such a long time…you and Ilene today…absolutely incredible. I completely agree with everything you said in your comments to Nicole (another one of my fav bloggers). Thank you Eli, for telling your story. Thanks Michelle. Tough times are the norm now, it seems. I don’t think I’m alone in working paycheck to paycheck. It makes you wonder if this is how life will always be. It also brings to light those wonderful things I have that money can’t buy. I will check out what Ilene’s written. No doubt it’s amazing. Glad you could see where I’m coming from in my comment to Nicole – I think some might consider it less than sympathetic, but I don’t see it that way. And I’ve been on both ends! Glad you liked it, Elizabeth. I’ve had this on my computer since yesterday – just hoping the inspiration for what to say would strike. It really didn’t, but I wanted to say that I’ve been there. Both places. The helper and the helped. Boy is that head-spinning. My mom grew up wealthy and then in her 20’s, was a “starving artist” (her words). Then her wallet got fat again, and now it’s emptier. She always says, “Money just seems to come and go. I know how it feels to have it, and I know how it feels to struggle. It’s never what’s most important to me, but I do like it an awful lot.” Amen. Granted, she’s never struggled even as much as I have with my own family, but I tend to downplay that one so I don’t make her worry. I don’t even know what more to say. This was a beautiful post. “It’s never what’s most important to me, but I do like it an awful lot.” What a quote, and how true. It’s great to be blessed with things money can’t buy, but it’s a little nicer when you can afford to have the basics, plus a little extra. not much. What a profound impact food has on our lives. Having it, not having it, the struggle for it. I coordinate a program 5 days a week that provides psychiatric care for a group of clients, and supervise the kitchen that provides the only meal many of them have each day. It is important to me to feed them well, as important as it is to monitor medications and education for them. It turned out to be the best summer of our lives. Vix was embarrassed to use food stamps, but she did. I told her there was no shame in using a system her taxes had supported since she started working in high school. We spent weekends at the lake, and evenings after the kids were in bed, before Stevie Wonder got in from work, we would drink home made wine coolers and dance in our sock feet on the hardwood floor to the BeeGees. We had nothing. Something Grace already understands, at her tender age. “We had nothing. And we had everything.” Another incredible quote! You definitely get it, both in the work you do (and the care in it) and how you pulled your sister in when she needed you. Darn you Eli. You made me cry! Your little girl is precious. When I was a kid and my parents split, money was scarce and food stamps fed me. One year there were donated Christmas gifts. Did it impact me? Yes. And I hope I am a more grateful kinder person for it. Sorry Stevie! I love the impact that experience had on you. It can go either way – a child can become bitter about it, or more compassionate. I remember a Christmas, right around those formative years of how kids see Christmas, for which the union my dad was part of had a party for us, and let us pick toys. It might have dashed my childhood beliefs, but it made me believe that there are good people out there who will care for you, even if you’ve never met. Fantastic post Eli. You have some great kids and they obviously get that from their parents. I’m so glad that you wrote about your hand up. We all need it from time to time. Great job. Thanks Nelson. I think maybe their parents get it from their kids sometimes! I think they’re more compassionate and generous than I was at that age, at least. Hope you’re doing well. I’m going to catch up with you on your blog soon for the latest. You’re definitely in my thoughts and prayers! This post gave me more chills as I kept reading on. I had my son at 19 (now 21) and money is tight, very tight. I used to have food stamps but they were taken away a few months ago because I technically “make too much.” Which I don’t. I’m barely living paycheck to paycheck. Since then, we haven’t gotten a full cart of groceries since. My boyfriend and I get whatever our son needs and get ourselves a few cheap items. It’s really hard, and I cry about it quite often. I just try my best to stay positive and think one day I’ll be able to afford an entire cart of groceries, and still have money in the bank. Thanks, and I’m glad the post resonated with you. It was one I wanted to write for a while, but kept hesitating. I know the feeling of living paycheck to paycheck, too. Food is rising in price. So are utilities. Gasoline. Just the basics. I’m making more than I did five years ago, but it doesn’t go as far. I also know how you feel about a full cart of groceries. I never have enough for more than a basket. I’ve gone to work intending on eating for $1 or $2 so that the sandwich stuff can go to school with the kids. I’m so sorry to hear you cry about it. It’s stressful though, isn’t it? The presence of those who love me and appreciate that I’m trying my best really sustains me. Let’s stay positive … our day will come! And I think we’ll both still clip coupons and look for bargains, even if we can afford the full cart! I’m ashamed to say that I often take it for granted that I can fill my cart with groceries every week. Your honest post reminded me that I am lucky to have that luxury, and I could be behind an empty cart next month. 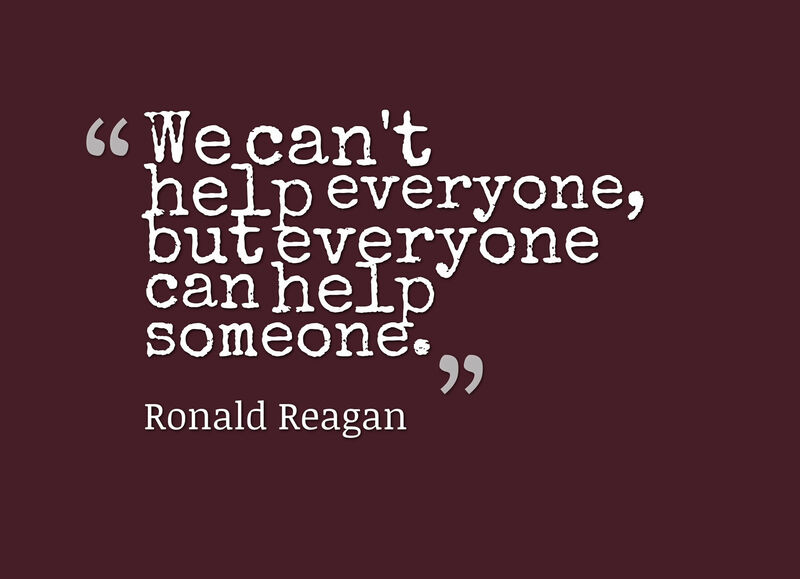 So I’ll help because I can, and because there will always be people who need it. There should be no shame in that – I’d love to take it for granted! I’m glad you’re there, and I realize how much worse off I could be! Generous people like you give us all not only what we need that week, but the hope that there’s a lot of good going on in the world, too. We are a family of 5 on one income — and believe me, I know how tight it can get. about 2 days before hubby’s pay, I am praying for the miracle of everlasting milk and bread. Most of our money goes to food – we don’t spend on many extras like clothing, sports, or date nights. it pretty much goes to all the essentials: house, car, heat and food on the table. We do contribute to local food banks, and once a month our church supplies the food for a local community drop in centre for an entire week. we all take turns. And sometimes I go down there to talk to some of the people over a cup of coffee. Really, really shows you how much worse off you could be, and that you are in fact blessed to have your needs met. I make sure my kids go with me too – so that they learn. and by proxy hopefully stop begging me for things like iPods and a new game system. It’s a new PS3 ….or food for a week kiddos. make a good decision. This summer, my girls helped their mom with Stone Soup, a program at church that provided lunch once a month to anyone who wanted it. It was awesome to see them help out people who were more in need than we were – and that was at a time I was still looking for work, so it helped them, too. Our kids understand, don’t they? That they don’t have that PS3, but they have their parents, each other, a place to live, and lots of love. I think they know. Eli, We just came out of a “money situation.” The major crisis was short-lived, and we had food to get through, but we didn’t have a washing machine (or time/quarters to go to the laundromat). I was truly impressed by the people stepping up to help us out. I posted about it today, if you’d care to check it out. “Money situation” … that’s a good way to put it. Those are times you lose something you might even take for granted, even for a short time, and it makes you thankful when you get it back. And it shows you how powerful a helping hand can be, doesn’t it? I’d love to check out your post on it. Thanks for stopping by. Da%$ it, Eli, you made me cry on a perfectly good Thursday morning. I give. It’s important to give more. I’ve felt that nudge lately, and you’ve confirmed it. Helping others does matter, a lot. Wow. I am humbled by this story. I have not yet needed the kindness of strangers to feed my family but I donate to our local food pantry once a month. I bring my boys with me so they can see what we’re doing and how we’re helping, although I think the concept may be lost on four-year-olds. Your story just made it so real to me. I’m typing through tears. Thank you for sharing this and having the courage to post it. It does important work. Thanks Allie. My career’s been a long and winding road, that’s for sure. I’m so glad your boys get to see what you do. I’m not so sure even the 4-year-olds can’t get something out of the experience. Responses like this make me feel I did the right thing to write about it! I remember those days. It wasn’t so very long ago. 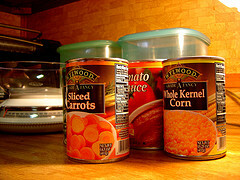 I often donate to our local food pantries…because they have saved us often in the past. We were one of the families that “fell through the cracks” in our system….we made too much “on paper” to qualify for governmental assistance but our family would have went hungry if it were not for food banks. I’m very thankful those days are behind us, but anything could happen. Thank you for sharing your story, Eli. I wish more had your courage. It’s nothing to be ashamed of. I can’t believe I didn’t see this comment many months ago. Thanks April. It feels good now to be on the other end, to be able to give again. I read this post for the first time in months, and was so proud of my youngest daughter all over again. In our tough times, we often were like you, who made to much on paper. But that didn’t fill our pantry. Not even close. I just wanted a chance to work and earn the food myself. Food banks for us, like you, were life savers. I’m glad you liked this post. Thanks April! This was great! Humorous, insightful, and heartfelt. I loved it!!!! Pingback: #A to Z Challenge: C is for Interview With a … Cat?